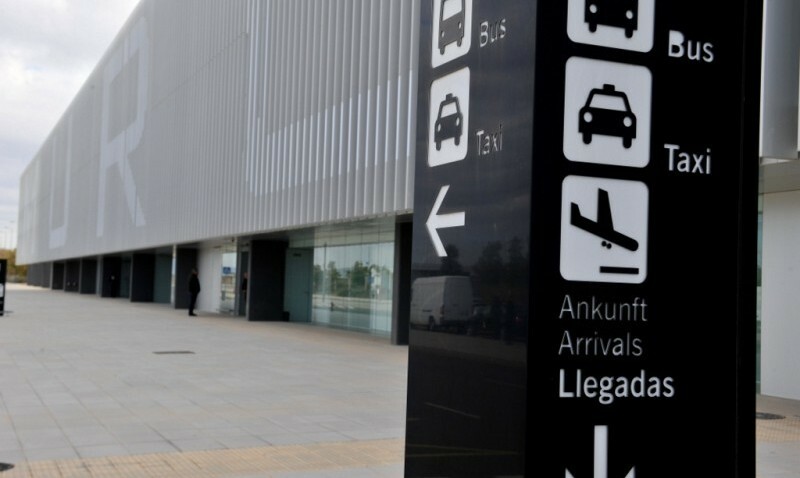 On the day of your departure you may park your car in the public car park of Murcia International Airport. 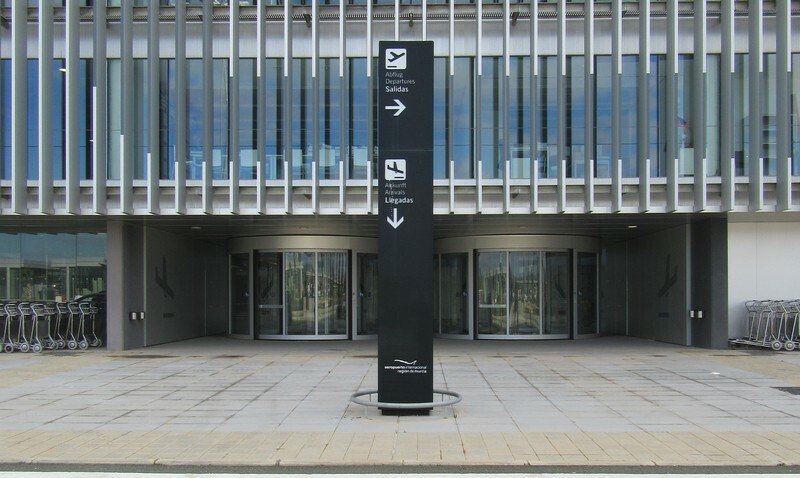 To get there, please follow the signs to the public car park ("P PÚBLICO)". Park your car as close to the left hand side entrance of the passenger's terminal as possible in C Block Parking, facing the terminal. That's the ARRIVALS entrance. See the picture below please. You will find us here, just inside the terminal. We are easy to recognize by our purple colours (shirts or coats) and company logo. At our meeting our staff will ask you for the parking ticket you took at the entrance of the car park and also for the bay number you parked your car in. The numbers are painted on the floor of each parking spot. Please don't forget to remember this number, this will save us a lot of searching. So our meeting takes place right after the entrance of the arrivals area, inside the terminal. We will sign the parking voucher you printed at home (not compulsory), we will collect the parking ticket from you and the car keys, That’s it. It’s as simple as this! While you are checking in, we will take your car to our compound, around two kilometers outside the airport. On your return we will be waiting again for you at the arrivals again to settle the payment (if there is something left to be paid), to give you the parking ticket and to return the car-keys to you. In the meantime we have parked your car at the airport car park again. With the parking ticket you receive from us, you will be able to leave the airport. The fee for this parking ticket is always less than a two euro, because we will park your car at the airport as close as possible to your arrival time. In case of a delay of your arrival we will keep your car in our compound as long as necessary.